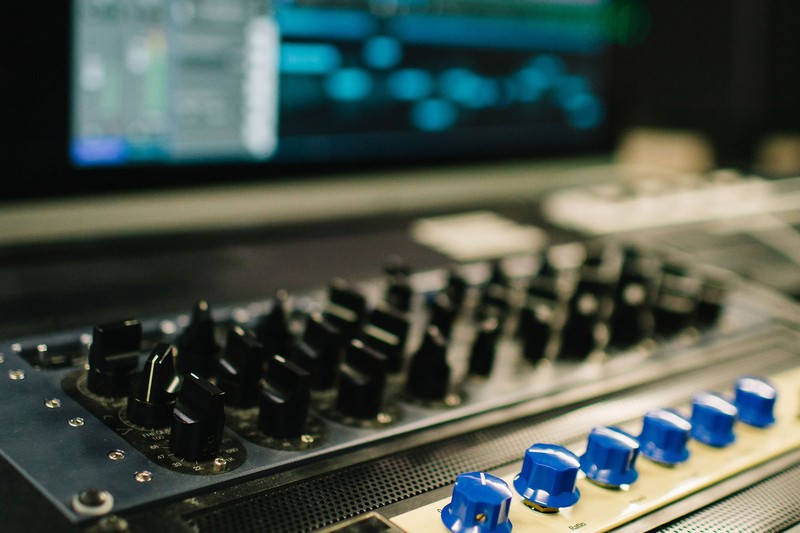 Our BSc (Hons) Sound Engineering and Production degree course will provide you with the creative skills and versatility you need to succeed in a constantly evolving, challenging industry. 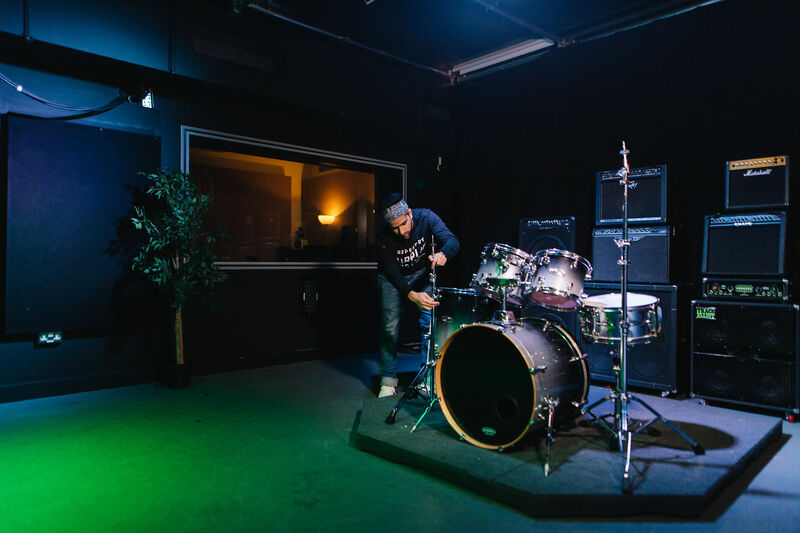 You’ll have access to world-class facilities so that you can experiment with music production, sound engineering, audio electronics and much more. Available in the UK to home and international students, the course enables you to study a diverse programme, ensuring students are incredibly well equipped for employment within the industry once completing their degree. Our students come from around the world and our Sound Engineering and Production course reflects this diversity. 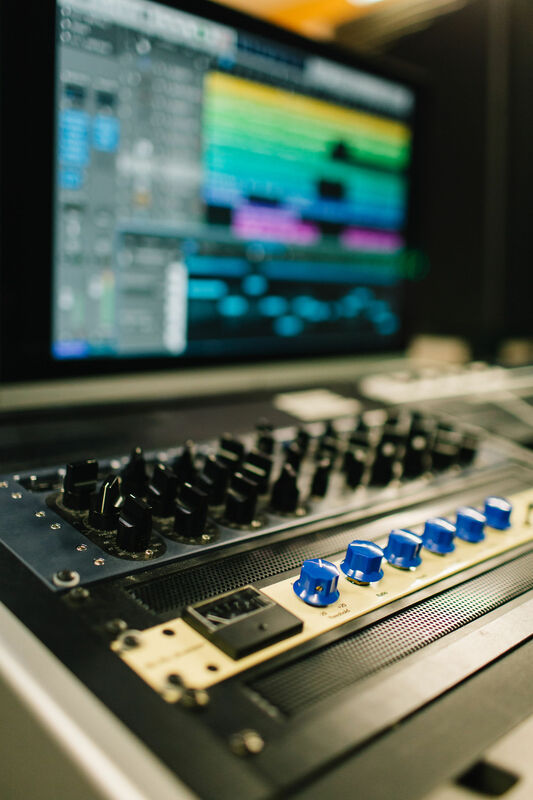 This course has been designed to meet the requirements found within the audio industry, providing a dynamic study programme that focuses on live and studio sound engineering, audio electronics, audio software engineering, acoustics and business principles. This combination of subjects ensures you’ll be employable in a range of career paths. You’ll be able to use technology to assist in the capture and manipulation of sound. Our course combines practical, hands-on training with theoretical and academic understanding, giving you a holistic conception of sound technology. Audio engineering is a highly dynamic sector, driven by rapid technological advancement. We will ensure that you have the skills to develop and maintain the next generation of models for production, performance and measurement. You will develop key transferrable skills, such as teamwork, reflection and self-awareness. You’ll also gain analytical skills through coursework tasks, as well as enhancing your problem solving using a range of systems and technologies. Throughout the duration of your course you will be presented with several chances to gain hands-on industry experience, through musical festivals, events and much more. As a Sound Engineering and Production student you will receive the opportunity to undertake trips through the Live Sound Society. One of the best things about the course was how wide ranging it was. It enabled me to take a holistic look at the audio industry in general. I really appreciated the technical elements of the course because whilst I really enjoyed all the studio recording and live sound modules, the fact that the course really opened my eyes to the world of programming and that sort of engineering really enabled me to get a strong technical background which is what got me the job at Spotify. Support and Surveillance Specialist at Spotify, New York City. Graduates of the BSc (Hons) Sound Engineering and Production programme have successfully entered the audio industry across a wide range of destinations including live sound, software development, production, sound design and audio post, through to product development, acoustic consultancy and education. We will prepare you for a range of technology-orientated career paths in the highly dynamic audio technology environment. You have the option of a sandwich year, enabling you to undertake valuable work experience. Students are satisfied with this course! We scored 91 per cent for overall satisfaction in the National Student Survey 2017. WISE members inspire girls to choose maths, physics and computing. At the point of application, you must have achieved or be working towards GCSE at Grade 4 (C) or above in English Language and Mathematics. Equivalent qualifications will be accepted. GCE A Level/ AS Level BBB or 120 UCAS tariff points from A/AS Level with a minimum of 2 A Levels. In at least one from Technology, Science, Mathematics or Computing related subjects. 60 credits overall. Minimum of 45 credits at level 3. The remaining 15 credits can be taken either at level 2 or 3. Must be from Technology, Science, or Computing related subjects. A minimum of 12 credits achieved from any Technology Units awarded at Merit or Distinction. BTEC National Diploma (12-units not including early years)/ Pearson BTEC Level 3 National Diploma D*D* or combined with other level 3 qualifications to achieve a minimum total of 120 UCAS points. Must be from Technology, Science, or Computing related subjects. BTEC Extended Diploma (18-units not including early years)/ Pearson BTEC Level 3 National Extended Diploma DDM - grades. Must be from Technology, Science, or Computing related subjects. Obtain a minimum of 30 points overall. Students who do not complete the IB Diploma will be considered on the basis of their IB Certificates and alongside other acceptable level 3 qualifications to meet 120 UCAS Tariff Points. Obtain a total of 15 points or above from three Higher Level Subjects. For students who do not already hold a GCSE in Mathematics at Grade C/4 or above grade 5 in Maths (Standard Level) from the IB Diploma will be accepted. For students who do not already hold a GCSE in English Language at Grade C/4 or above Standard Level English Language (not literature) Group A English Group A - Grade 4 or above, OR English Group B Grade 5 from the IB will be accepted. A combination of GCSEs, A-levels and IB certificates will be considered on a case by case basis. Pass the Irish Leaving Certificate with a minimum of 120 tariff points, achieved in four Higher level subjects. This must include Maths and English Language taken at either Ordinary level (minimum grade O1-O4 (or A-C/A1-C3)) or Higher level (minimum H5/D1). At least one must be from Technology, Science, or Computing related subjects. Achieve a minimum of 120 tariff points achieved in either three Advanced Highers or from a combination of two Advanced Highers plus two Highers. Where three Advanced Highers have been taken achieve a minimum of grades CCC. Where a combination of Highers and Advanced Highers have been taken you must achieve (grades of CC in two Advanced Highers plus grades of CC in two Highers). Pass grade combined with other level 3 qualifications to achieve a minimum total of 120 UCAS points. Must be from Technology, Science, or Computing related subjects. Must be offered along with either A-levels, BTEC Subsidiary Diplomas/ OCR Cambridge Technical Introductory Diplomas or a BTEC 12-unit National Diploma/ OCR Cambridge Technical Diploma combination with a total of 120 UCAS tariff points. This module will develop students’ understanding of acoustic fundamentals and will also develop a methodology for testing a range of musical instruments, using a range of applicable techniques to extract and analyse data. This module provides a base for you to develop key skills in recording and mixing, imperative for all fields of music technology and sound engineering. You will become familiar with the hybrid analogue mixing/digital recording studio environment and explore recording techniques and processes applicable to a wide range of acoustic and electric instruments. You will study analogue-based audio systems and processes, and microphone technology. You will apply this knowledge through a series of studio based recordings. This module will introduce the nature of digital signals, presenting the international standards for digital audio data and the common processes involved in the capture and processing of digital signals. Later the module will allow you to develop strong skills in the standards for compression and distribution of digital audio signals and via a cross discipline approach, the module will illustrate common methods form computing and how valid these are for digital signal distribution. This module will give you a broad understanding of sound reinforcement for a range of scenarios of up to 250 audience capacity. 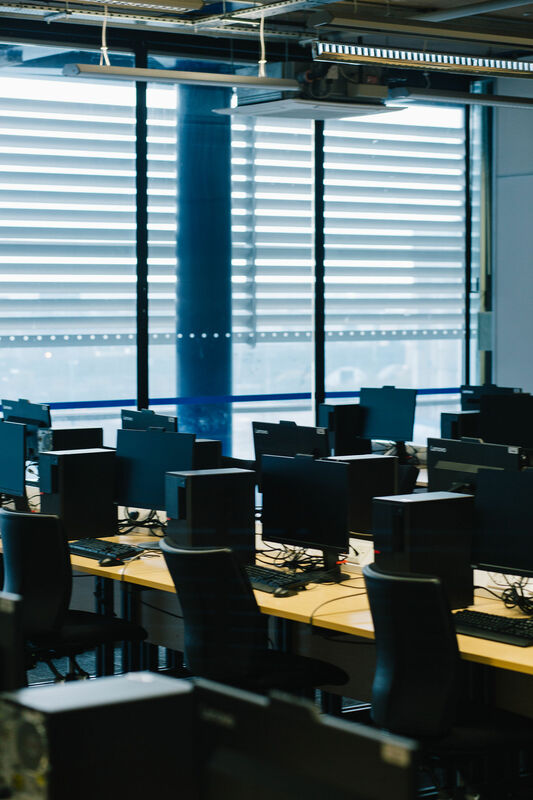 As well as the practical skills of connecting and troubleshooting a range of equipment from analogue to digital, the module will also focus on the need for good theoretical skills, including room modelling and system prediction as well as understanding of electrical safety and safe operating practice. In this module, you will explore everything from compilers, instruction sets and hardware architectures up to programming concepts such as iterators and functions. The module finishes by introducing simple digital signal processing technologies and object oriented design. The module provides the knowledge base to excel in the technical modules in years 2 and 3. This module provides a foundation for you to grow into audio hardware design related final year projects, employment and work placements. The module outlines an essential part of being a good studio or live sound engineer and also relates to high-end audio reproduction systems found in A/V theatre and hi-fi listening rooms. This module introduces you to recording sound for television and radio, sound effects, dialogue replacement (ADR), and mastering audio levels for broadcast using a project based approach. You will increase your employability through exposure to the skills used in the broadcast industry and working with actors and television crews in interdisciplinary activities involving students across different faculties. This module enables you to develop an individual recording portfolio based on your personal areas of interest whilst acquiring core techniques and skills in key applications. 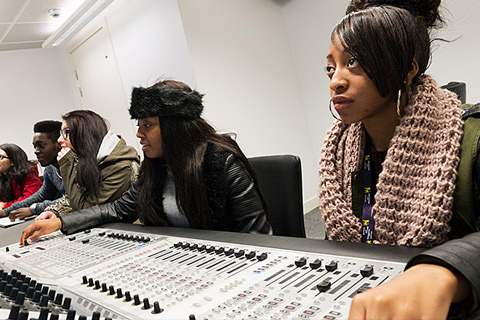 It provides the opportunity to explore editing, mixing and a range of recording techniques to lay a foundation for more advanced recording and production work at Level 6. Digital technology is widely used throughout all the stages of the digital media processing, production, transmission, distribution and broadcasting activities. This module provides application based fundamental digital signal processing (DSP) knowledge and skills. This module will develop key understanding of audio systems, embedded systems and electronics. This module will encourage you to develop your passion for the equipment found in the studios, how they sound and why, and what makes them important during the recording, mixing and mastering process. This module will allow you to gain an in-depth understanding of global music and audio industries and how organisations have sought to adapt to technological change. This module enhances employability through the development of your understanding of employer requirements and approaches to recruitment. This module will provide a practical insight into acoustic consultancy by assessing through theory and practice. It will cover building, interior and environmental acoustics in a way that aids employability by utilising methods that are typical of industrial practice. The purpose of the module is to enable you to undertake a sustained, in-depth and research informed project exploring an area that is of personal interest to you. In agreement with your supervisor, you will decide upon your topic which will take the form of a practical outcome (artefact) with accompanying contextual material. The main consideration when choosing your topic is that it must be aligned to the programme you are studying, and you should consider the relevance of this topic to your future academic or professional development. The module allows a deeper understanding of measuring and tuning PA systems, the operations and mathematics involved in rigging, and other show control systems such as DMX for lighting. This module will cover the wide range of research areas within music information retrieval (MIR). The field of MIR emerged at the intersection of other areas in music research including audio signal processing, machine learning, music history, musicology, and music psychology. Current research in MIR consists of topics related to these fields, including music recommendation, automatic music transcription, optical music recognition, source separation, semantic audio applications. The module will cover linear and nonlinear systems, time and frequency domain processing algorithms and will explore future generations of methods in the field such as adaptive, cross-adaptive and intelligent music production systems. The Game industry has overtaken the film industry in terms of revenue and audio is an integral part of developing high impact titles. In this module, you will explore the fundamentals of sound design for interactive environments, including sound effects, Foley sound, soundscapes and dialogue. The module will cover the integration of audio into game engines like Unity and middleware such as FMOD, and mixing techniques particular to the gaming industry. You will be assessed both formatively and summatively by a number of methods. Formative assessment occurs throughout the programme and involves feedback from peers, tutors and individual reflection. A range of summative assessment methods are employed involving both individual and group assignments, written coursework assignments and practical project work, laboratory experimentation, tests and examinations (seen and unseen, open-and closed-book). Assessment methods for each module are identified in a module guide and, for coursework, assessment details and criteria are specified in each assignment brief. In accordance with the University Regulations you will be permitted two attempts at assessments. After your first sit, if you are unsuccessful in any of your assessments, there will be a final resit opportunity for which your mark, provided that you pass the assessment, will be capped at 40 per cent. There are 30 attendance weeks in each academic year. A typical week on this course will include 13 hours of contact time over four days, plus self study time. The Centre has a partnership arrangement with the highly esteemed University of Rochester in New York State, USA. This exchange programme offers the opportunity for students to apply to study abroad for a semester in the second year. More generally, this arrangement feeds into the internationalisation of the course with students from the USA joining the cohort at BCU, opportunities for joint research projects and short academic exchanges. Birmingham City University students Daisy Pearson and Andrew Jennings talk about their degree course BSc (Hons) Sound Engineering and Production. Birmingham City University is located at the heart of the West Midlands, with a rich, vibrant music scene. 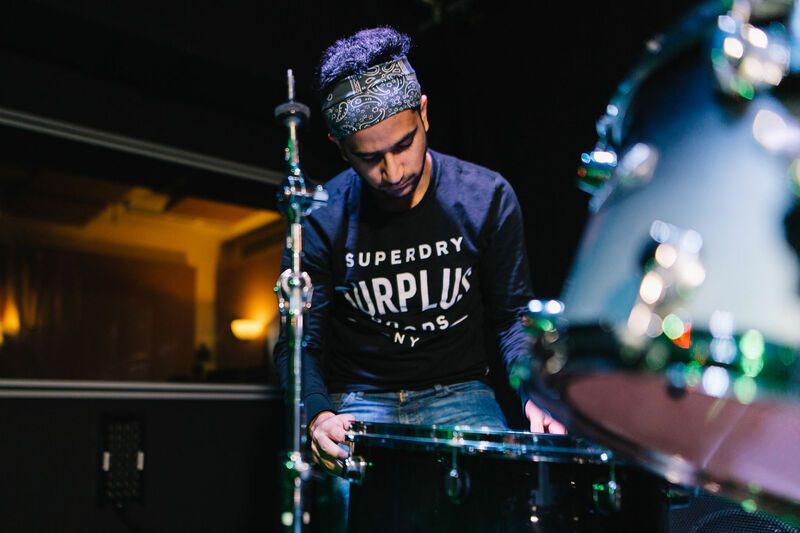 With live venues from intimate jazz bars to rock venues, from festivals such as Moseley Folk Festival to world renowned Symphony Hall there are plenty of chances for you to gain hands-on experience! As a student within the school you will be able to enjoy professional-quality resources and access to highly accomplished musicians from genres including classical, folk, jazz, rock and electro. Upon completion of the BSc (Hons) Sound Engineering and Production degree you will be equipped with the skills and knowledge to undertake further study. Throughout the programme, you will undertake modules which encourage the development of your research skills, providing you with the foundational skill and knowledge to undertake a postgraduate course. The University has a range of either taught (MSc) or research (PhD) postgraduate programmes. Your experience at Birmingham City University will ensure you’ll graduate as a creative problem solver, with significant experience of professional industry-standard hardware, software systems. You will leave with a global outlook, primed to engage with the technical and aesthetic issues that will challenge the music and audio industries in the and technologically mediated world ahead. The Module Industrial Mentors scheme supports the enhancement of graduate employability through on-going engagement with industry specialists throughout the course. This initiative is based on facilitating interactions between students and individuals working across the music technology and audio sector via module-based forums. This innovative approach allows you to explore specific subject areas with experienced professionals working in the field. You have the option undertake an assessed sandwich year between your second and final year, which will provide you with valuable work experience and give you the real-life skills you need. The first year Music and Audio Industries and second-year Employability, Projects and Management modules have been designed to give you a deeper understanding of aspects of this dynamic sector and offer insight that will help with your career development. In this video, students and graduates as well as the course director Roy Priest describe how this course will help you to get a job with a reputable company after you graduate. 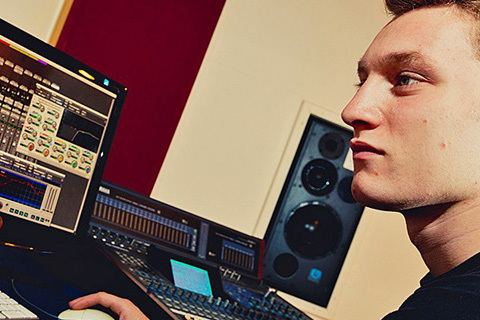 After completing his degree in Sound Engineering and Production, Lewis Planter developed a career as a freelance music producer and songwriter. He has worked with artists including Danielle DI, with whom he released the single ‘Nothing on Me’. He also collaborated with a Jamaican radio personality and disc jockey on the ‘Ragga Riddim Compilation’ which features dancehall acts including Beenie Man, Assassin, Bugle others. This was released earlier this year under the Elektra Music Group label in conjunction with Zojak distributions. He has also worked with Protoje, producing the track ‘Answer to your Name’, which was the third single from Protoje’s chart-topping reggae album ‘Ancient Future’. This single was featured on Soccer AM in 2015, as well as being used on FOX’s ‘Lethal Weapon’ TV series which aired in the US in October 2017, and will be shown in the UK on ITV in 2018. BCU is where I honed my skills in music production and engineering. I hope that current students will see the progress I have made and be inspired about where their degree can take them. The Sound Engineering and Production course offers you the chance to take a ‘sandwich’ year, in which you can undertake an industrial placement. This takes place after the second year of study and extends the course duration to four years. 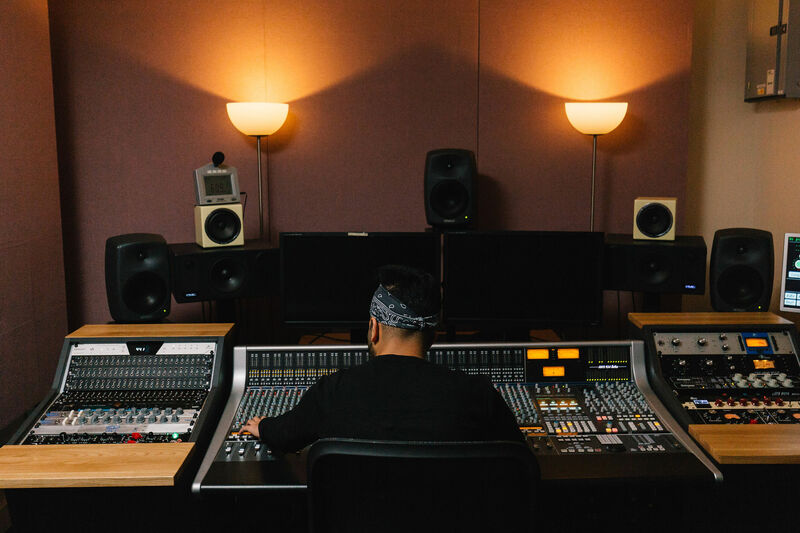 There are a wide range of potential placements that you may pursue such as working in recording studios, record companies, in professional audio and theatres. Previously students have undertaken placements with companies such as SSE, Midas/Klark Teknik (The Music Group) and Dolby. In the past our students have undertaken year long placements gaining crucial contemporary industry experience. One example is Christopher Savva who undertook a placement at the International Federation of Phonographic Industry. Christopher’s role included anti-piracy work, where he worked hand-in-hand with the major record labels on content protection and the pre-release protection of singles and albums. His work led to him being offered the chance to undertake some work at EMI as well as a week-long assisting role within Sony RCA Records’ marketing department. 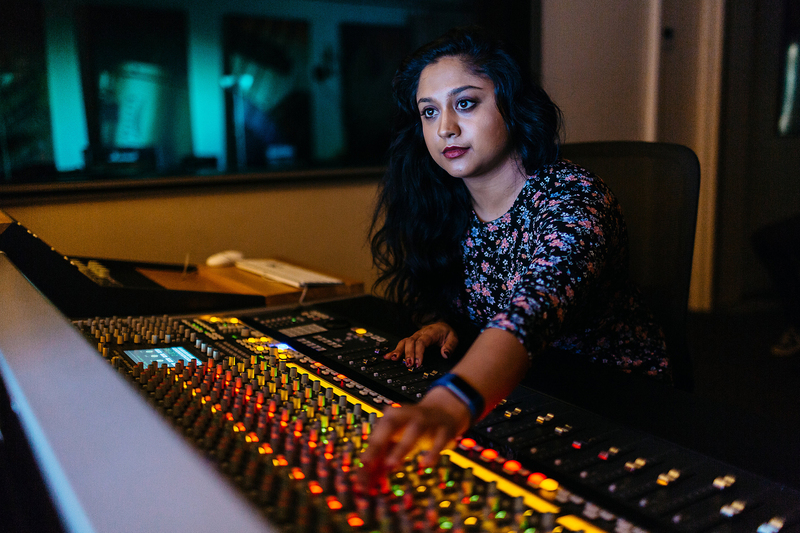 Graduates of the BSc (Hons) Sound Engineering and Production course have gone on to work at a variety of institutions and within the creative industries. Typical roles undertaken by our graduates assistant studio engineer, DSP engineer, music technician, studios electrician, junior sound engineer, broadcast systems engineer, junior audio designer (video games) and much more. We are extremely proud of our graduates, who are now employed in companies such as The Music Group, Cloud One, Spotify, Spindlewood, Focusrite, Jaguar Land Rover and NAIM Audio. We also have graduates who have taken on roles as sound designers and media composers, working with TV programmes, video games major record labels. The Sir Henry Royce Foundation Award is made annually to the University's technology student who has made the greatest contribution to faculty life during their undergraduate education. Made by Sir Henry Royce's Memorial Foundation - established in 1977 for the advancement of engineering - the award recognises young engineers whose student life is testimony to Sir Henry's own philosophy; pursuit of excellence. Here at Birmingham City University we welcome students from all across the globe. Our BSc (Hons) Sound Engineering and Production undergraduate degree is open to international applicants who wish to study the field of music production and technology. As an international student you will benefit from studying alongside a diverse range of students, all with different backgrounds and experience. In addition to this the course is led by tutors with international experience. You will have the chance to draw upon the diverse cultures and wealth of experience from your fellow students, learning new skills and sharing your own knowledge. As an international student you will benefit from studying in close proximity to the UK’s diverse and continuously changing creative industries, you are encouraged to engage and regularly network with these industries. Through practice-based teaching you will develop an in-depth understanding of music production practices within the UK and further afield. You will have the chance to complement these skills through undertaking a work placement. 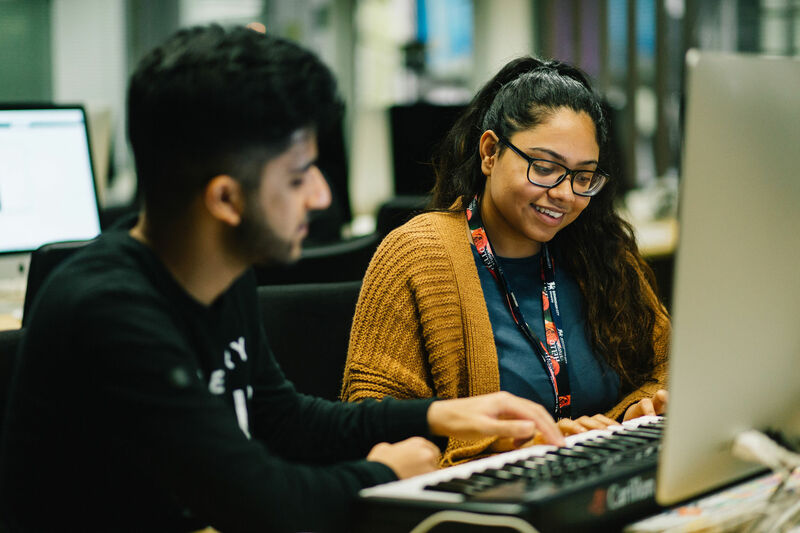 As a Sound Engineering and Production student you have the chance to earn while you learn, taking on various roles through the University’s in-house employment scheme: OpportUNIty. You will also be able to access personal and academic support services, as well as help and advice tailored specifically for you. Through an international orientation and welcome week you will be able to adjust to life within the UK, preparing you for your studies! 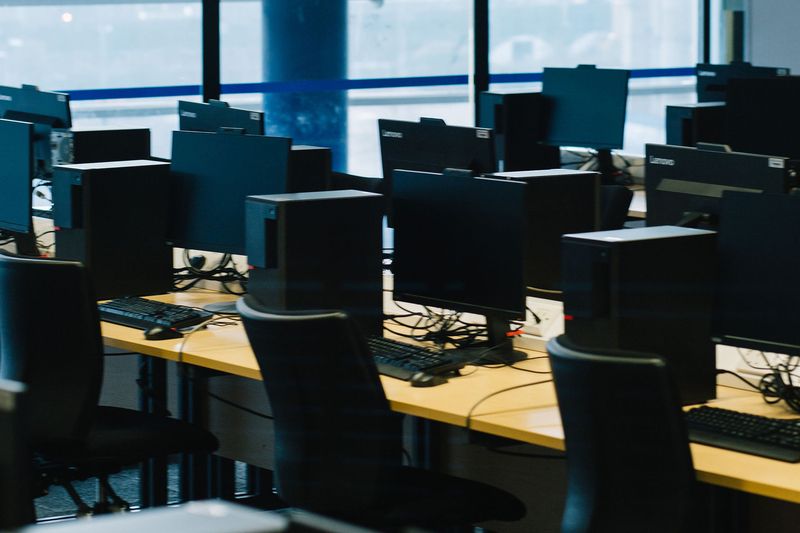 Here at Birmingham City University, the School of Computing and Digital Technology is equipped with a multitude of professional, dedicated equipment. With world-class facilities including: two film and television studios, four multi-track recording studios, post-production facilities, and several hundred multimedia stations. 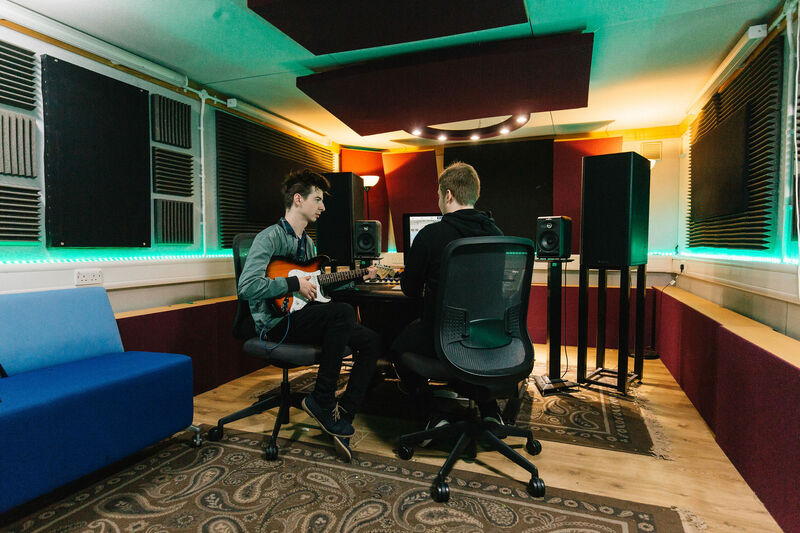 We have cutting edge facilities available to support the course and research that goes on in the School, including the purpose-built Media Centre at The Parkside Building, DMT Lab and Cisco Academy at Millennium Point and recording studios. We also have several PC and Apple Mac computing suites with the latest industry standard applications and tools for audio, video and multimedia application development and content creation. You will also be able to take advantage of a comprehensive range of state-of-the-art technology and equipment to prepare you for working within industry. Our four fully digital, interconnected TV studios can be used within a variety of contexts, including audio recording. Alongside this with have several broadcast-standard edit and dubbing suites. You will have access to four fully digital, interconnected TV studios, along with broadcast-standard edit and dubbing suites. 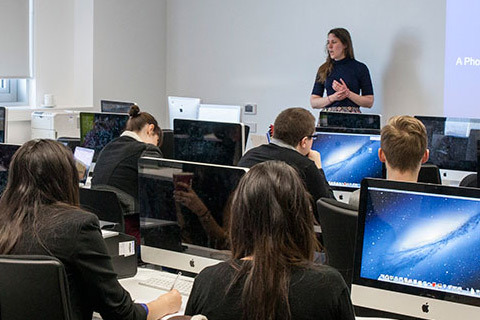 An Apple Mac sound lab, electronics and fully equipped multimedia labs are all part of the technology and multimedia experience on offer. 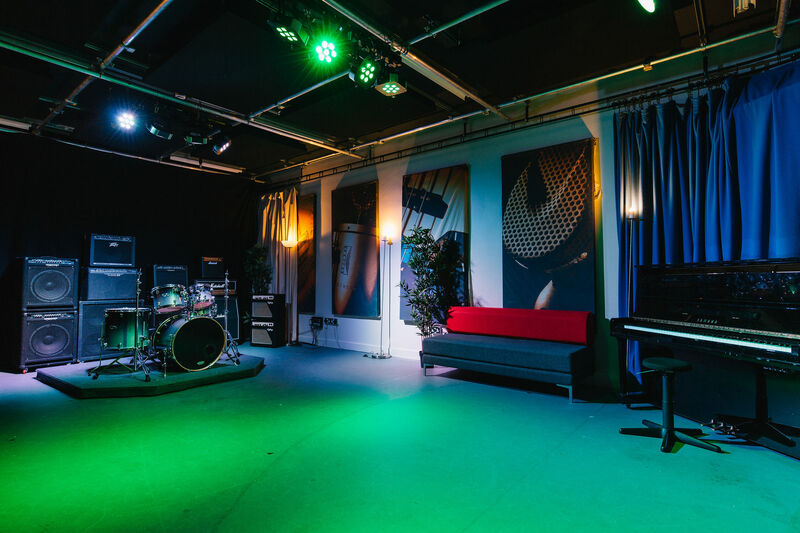 Discover the full range of studios, mix rooms, recording spaces and a vast range of recording equipment. Roy is the Programme Leader for BSc Music Technology and BSc Sound Engineering and Production, and Director of Learning, Teaching and Employability within the School of Computing and Digital Technology. Prior to working in higher education, Roy was involved in various aspects of the music industry, as a professional musician and also working in artist management and legal and business affairs. With a background working as a product designer in the hi-fi industry and as a working musician over many years, Izzy specialises in the areas of live sound and acoustics. He is an in-demand live engineer and production manager, working with a number of festivals and events each year. He was instrumental in setting up the student-led Live Sound Society and firmly believes in students becoming more employable by gaining practical skills alongside their degree. Izzy’s research work is in the area of musical acoustics and he is developing tools to analyse differences in musicians’ playing styles. He is also Education Director for Shrewsbury Folk Festival, one of the top 5 events of its type in the UK, and regularly teaches folk instruments at other festivals. Cham Athwal is Head of Research in the School of Computing and Digital Media Technology. He teaches on the BSc (Hons) courses for Digital Media Technology, and Sound Engineering and Production. An experienced lecturer and researcher, Cham has led numerous technology transfer projects, as well as working as an experienced external examiner and course validator. He has skills and knowledge in several areas of IT, including software development, web technologies and multimedia, as well as image and video processing, 3D modelling, animation and virtual reality. Ian is an Associate Professor in the Centre of Digital Media Technology (DMT) and the subject lead for image and video technology in the DMT Lab. He is an expert in image analysis, Mixed and Augmented Reality (MR/AR), image texture analysis, 3D image processing and user interaction. Ian delivers internationally recognised research by leading the Image and Mixed Reality group within the DMT Lab, and as subject lead, directs the module content for the level 4 module on Digital Audio Technology, the level 6 module on Digital Image Processing, the level 7 module on Research methods and the MSc Digital Broadcast Technology Projects. Supplementary to this academic delivery, Ian supervises PhD research in many fields of digital media technology and at present he is Director of Studies for four PhD students, all researching in areas of mixed reality, multidimensional image processing and interactive systems. Ian joined the University in 2008, following a career as a communications engineer for the UK railway network and after successfully completing his PhD in Medical Image Processing. Ian currently acts on the scientific and technical committee for the IEEE international symposium on Mixed and Augmented reality and is a reviewer for several international conferences and journals including, IEEE Signal Processing Letters, International Journal of Optics, IET Journal of Image Processing and Elsevier Journal of Computer Vision and Image Understanding. Robert is a lecturer whose emphasis is on student engagement with industry and external partnership development. He is a Prince2 Practitioner whose area of teaching is industry contextualisation, business, marketing and the work environment. He writes for media focused, genre and technology websites and a semi-regular basis as a freelance copywriter specifically about new media and technology and has been used to providing commentary on media industry by journalists and local and national radio (Free Radio and Radio 1). His work has led to student opportunities for mentoring and industry guidance from external clients such as Sky Academy, Spotify, YouTube and ITV. He has worked on multiple industry focused projects which have included documentaries for Canadian Broadcasters, student competition judged by Hollywood directors and student driven multi-media projects curated from the creators of 2000AD. He is also the project coordinator for Creative Networks a monthly event that is designed to increase student engagement within their subject matter and to learn from external partners and practitioners. He also runs the BCU-Comic Lab and co-hosts the weekly DMT Podcast show. Ryan Stables is a Senior Lecturer in Digital Audio Processing and the subject leader for Sound Technology, based in our Digital Media Technology (DMT) Lab. He currently teaches in the areas of digital audio effects, digital signal processing and audio software development. Ryan currently leads The SAFE Project, which will provide a suite of audio plug-ins able to recognise transferrable semantic terms. He has had both national and international news coverage, for his work on both intelligent music production and cancer diagnostics via data sonification. After starting his music career with releases on seminal Drum & Bass labels Offshore, MJAZZ and Subtle Audio, Jason co­founded the Detuned Transmissions imprint in 2012. As one half of DAAT (with Joseph Thibodeau) he focuses on the sonic exploration of imagined environments. Jason holds a PhD in music research from McGill University (CA) and a Master's in music technology from New York University (US). He now works in the Digital Media Technology Lab (DMT Lab) at Birmingham City University (UK) where he is a lecturer in audio engineering and conducts research in the fields of music information retrieval and computational musicology of electronic music.